We are exhausted. In fact, we are beyond exhausted. Today marks eight straight days of pushing our bodies to the brink of our physical strength. We have had at least ten to twelve hour days every day since we have been here, on top of hours of blogging, mapping, and debriefing each night, and our bodies can tell. Despite all of the physical exhaustion and emotional challenges we are facing, we never complain and we never forget why we are here. We are here because the individuals being exhumed faced far worse conditions than us, conditions we can never even begin to imagine. We are here because these individuals risked their lives and died seeking a better and safer life for themselves and their families. We are here because these individuals were buried without any attempts at identification, leaving their families to wonder what happened to them. We are here because we are fighting for justice for the individuals who have had their basic human rights blatantly ignored. We are here because of the families missing loved ones, hoping to bring them closure and free them from the pain of not knowing. This keeps our team going. We never forget why we are here. 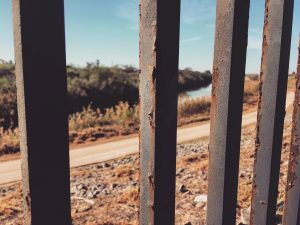 This morning, we visited “The Wall” in Brownsville, TX. We stopped at a beautiful park downtown that was right along the wall where we were able to sit and reflect on our experiences thus far. One of the most powerful things that happened today was noticing the presence of a Peace Pole in the park. 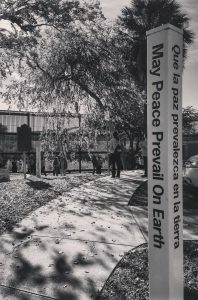 This peace pole is part of a larger Peace Pole Project, which consists of hand-crafted monuments displaying the message “May Peace Prevail on Earth” in multiple languages. Peace Poles are found in 180 countries worldwide and serve as constant reminders for us to strive for world peace. The presence of the Peace Pole in Brownsville served to further remind to our team why we are here. We are helping bring peace to family members who have missing loved ones. We are fighting for world peace and to end unnecessary suffering. 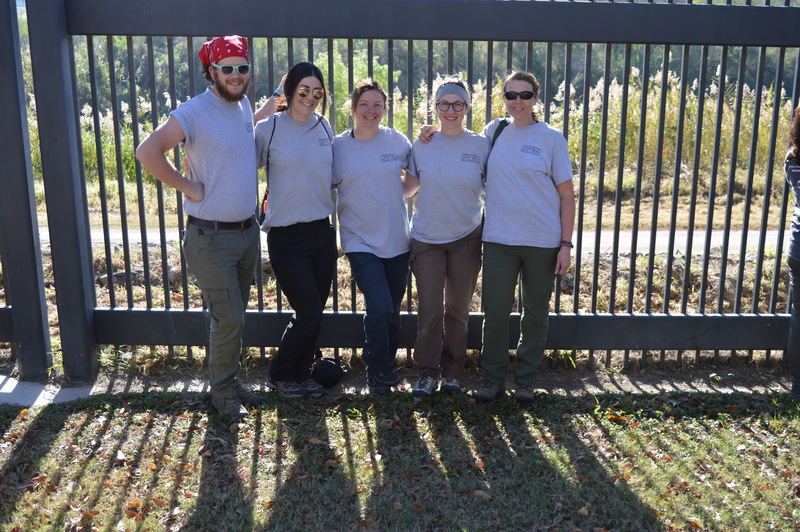 After we visited the wall, we went back to the cemetery to exhume the two individuals we found yesterday – pretty straightforward, right? Wrong. 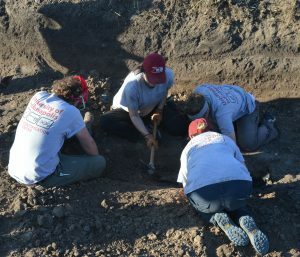 After fully uncovering these burials, we found that there were actually three burials. 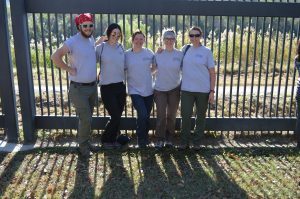 We weren’t worried about exhuming a third burial because we still had a half-day to complete all of the work we needed to. After these three individuals were uncovered, Jessica and I probed an open area outside of our quadrant to feel for anomalies. Jessica and I each felt an anomaly and investigated them by digging test pits. Jessica located another burial in her test pit, but I was still only feeling loose soil. 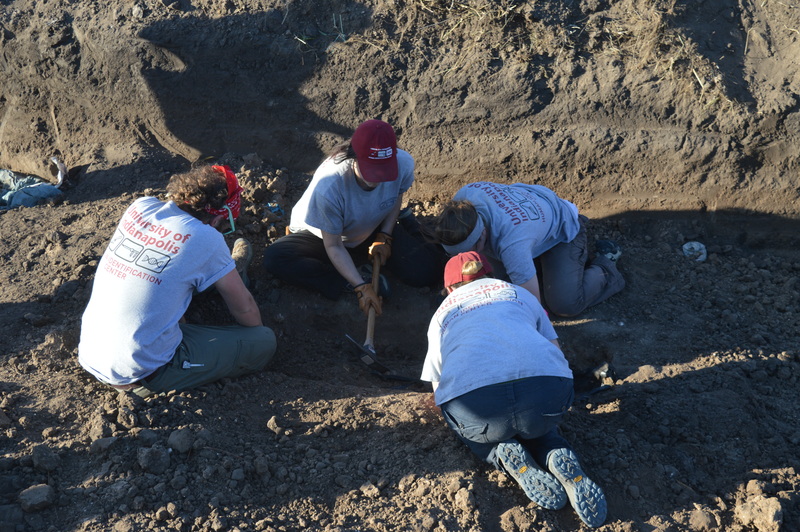 We decided to have Joe and Louis come with the backhoe and carefully remove dirt layers in order to locate these two burials and any other potential burials that lay outside of our quadrant. In the end, we found three additional burials and had each of them excavated by sundown at 6pm. 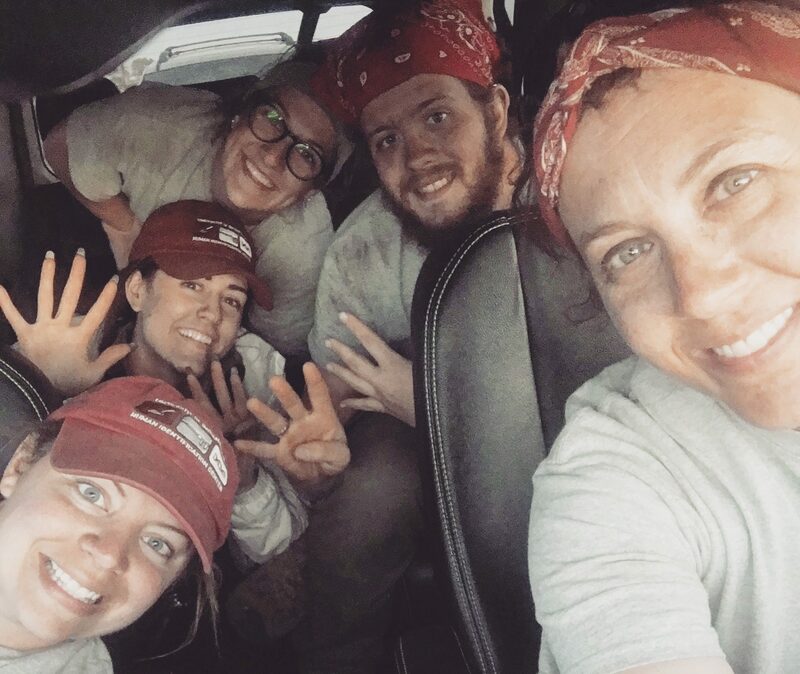 We started the day thinking we only had to excavate two individuals and ended up excavating six… for a half-day’s work we are pretty proud of those numbers! Tomorrow, our plan is to head to the cemetery one last time to monitor as Joe and Louis refill in our quadrant. Tomorrow will be a bittersweet day – we worked so hard in our quadrant and moved so much dirt by hand, all remnants of which will be removed in a matter of hours by Joe, Louis, and the backhoe. However, we are proud of the amount of work we were able to accomplish in just eight short days. We are confident that we investigated every possible location within and outside our quadrant that these individuals could be buried, ensuring that no one is left behind. 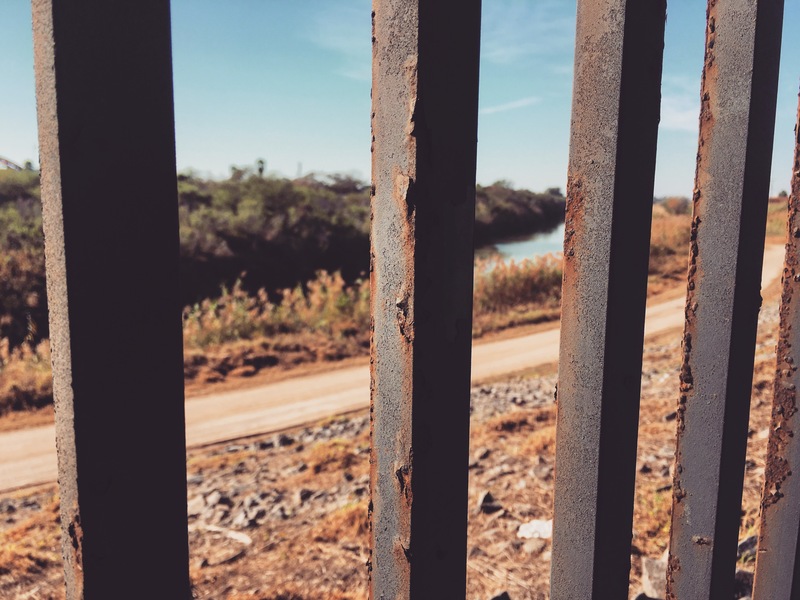 Because that’s why we are here – to exhume every unidentified migrant so they can begin their journey home.